2018. That was a year eh? I started living somewhere other than Chicago for the first time in 11 years, I found myself truly band-less for the first time in 15 years, and a variety of anxiety and depression that comes along with big life changes like that. In a lot of ways this last year, I’ve felt adrift. When I had the last of the car packed up and I left our condo in Chicago, I remember having a very real feeling of pushing the boat away from the dock, and although I knew there was land on the other side of the lake that I was sailing to, I really didn’t know what life I was traveling to. That said, this last year has brought a lot of joy too. We’ve been settling in in Grand Rapids, and starting to really love it. I’m actually legitimately making money with music for the first time in my life, which is strange considering I still feel “band-less.” The girls keep growing and changing, and continue to be exhausting and amazing. Last year I said my goals for 2018 were to move to Grand Rapids, keep playing music, and keep raising the girls. 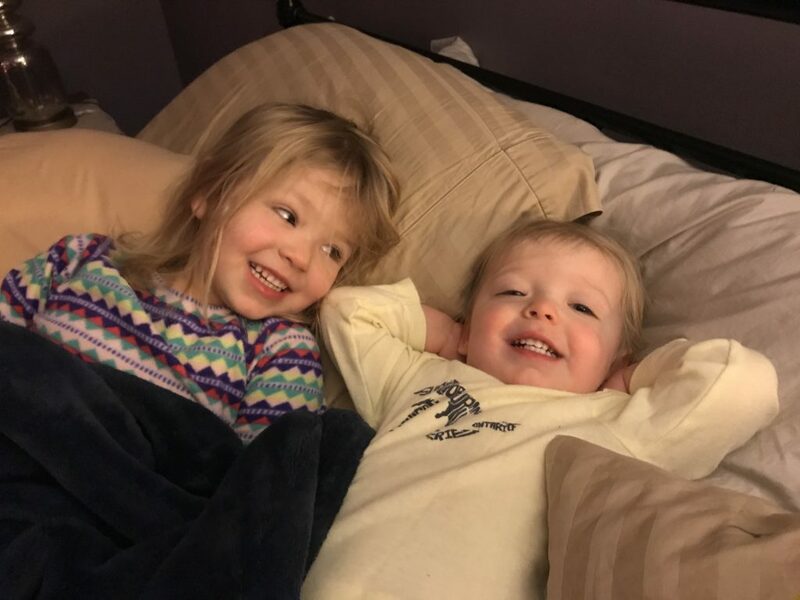 The music and raising girls part is shaping up differently than I had envisioned, but I was foolish to ever think it would look exactly like I imagined. So I think I can still count it as a success. Definitely a strange and emotional year, but it also felt foundational for the next chapter of my life, and I already feel that building this year. I’ve put together a backing band of some crazy talented folks to play with me on my original Foster stuff. My friend Zoran (at lowcarbcomedy.com) and I are making a sequel video to the first Common Shiner video, which as of this typing has almost 34.5 million views. I’ve already got some travel planned to Hawaii and potentially Europe yet this year, as well as plenty of wedding gigs booked. Beyond those things above just happening without incident, I wanted to make a couple other specific goals for 2019. And since nothing major (like moving, having a child, band breaking up, etc) is slated to happen this year, I want to get a little more specific than I’ve been in the last few years. Host or coordinate some neighborhood events. Couple possibilities already in the works – Soup night at our house (during the winter), Backyard concerts, live band also in our back yard on Halloween. Play at least 2 shows with my new Foster band. Already have one scheduled for February 9th at SpeakEZ, so the challenge is to get one more. Cooking todos for 2019: Still want to get down solid homemade crusty bread/baguettes, Homemade empanadas, Bacon (on the big green egg), Homemade donuts. This is gonna sound weird to say, but I also would like to listen to more music in 2019, as I feel like I’ve faded in the last few years. Lots of stuff to look forward to, but first, let’s take a look back. To be honest, this year with both movies and music, I felt very out of the loop, which I think happens when I feel in transition, but I’ll do my best to fake it (I mean, I still had opinions!). As usual, let’s start with the music. So this is the first time I’ve ever done anything like this, but I’m basically listing 3 albums here. Let me explain. Losing Scott Hutchinson from Frightened Rabbit this past year has been rougher on me than I ever thought it would be. It still makes me so sad every time I think about it. I discovered (thanks to a friend who was also devastated by the loss of Scott) that we were not alone, and we joined a “Frightened Rabbit Recognition” group on Facebook (shout out to any FRabbits reading this!). 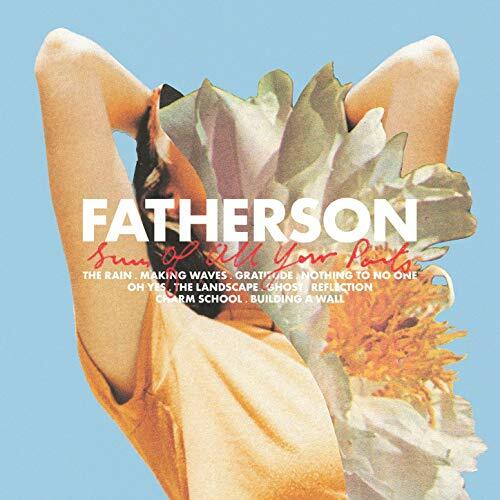 People there have posted various bands that they thought us FR fans would enjoy, and someone mentioned Fatherson. Listening to their first album I Am and Island for the first time felt an awful lot like discovering Frightened Rabbit for the first time (not just because they’re both Scottish, though admittedly, that doesn’t hurt). The album just destroys me in the best possible way. The lyrics are heartfelt, poetic, and beautiful, and their music is moving and passionate. First time I listened to “Half the Things” I was beyond sold on this band. And then I was ecstatic to learn that they actually had three albums out. The newest album Sum of All Your Parts actually did come out in 2018, but it’s my least favorite of the three, and on any other year, either of the first two albums would be my #1 album of the year by a long shot. So I figured I had to find a way to get them #1 on my list, so I’m giving it to them for discovering all three of their albums in 2018. I am dying to see them live, but they’re only coming to the US for two dates, March 9th in New York, and March 10th at SXSW. Anybody near Austin and at all planning on going to SXSW should make their way to see them. Hopefully they’ll be back on our soil soon, but they were by far the musical highlight of my 2018. Frank made my 2015 list at the #5 slot, and he came back with a politically brash, poppy, sweaty bar stool hymns album this year. The song 1933 was one of my anthems of the year politically, and while there are very obvious anti Trump songs on the album, there are some solid ones with solid messages that I think anyone could agree with (like Be More Kind). 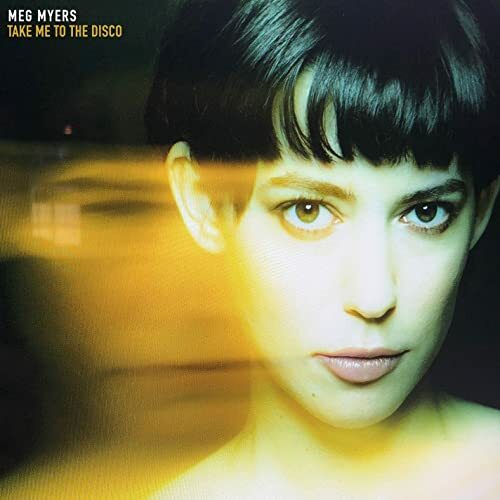 This album very much came out of nowhere for me, in that I didn’t really know Meg Myers at all, but for some reason I had her on my “to listen to” list, and I couldn’t even remember why. Then her album came out, and I was like “alright, I had it on the list, so may as well give it a listen.” This is the most Annie Lennox album that someone not named Annie Lennox put out, and it is amazing. I have a feeling I’ll be listening to this album for a long time to come, and I should probably check out her older albums too. 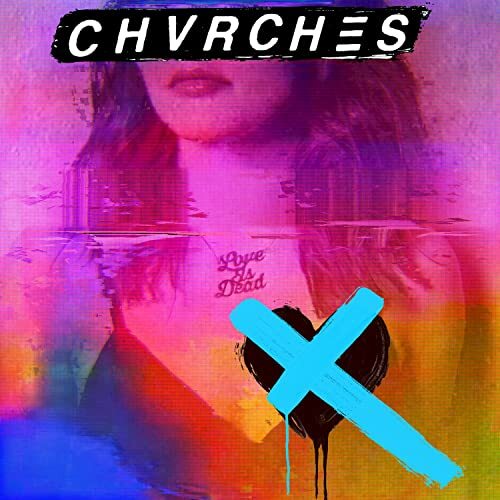 I feel like so few people talked about this album this year, and maybe it’s because it’s a little bit more of the same from CHVRCHES, but man, I just can’t get enough of them. If this had been their first album, almost certainly the same level of hoopla would have happened, but I think everyone’s just kind of used to them. Regardless, this album is just all the poppy 80s wonderfulness that they’ve always put out, and I love it. So there. In all honesty, this album probably isn’t truly a top 5, but I just love Andrew W.K. so much, and though I knew who he was, I didn’t really get into him until just a couple years ago. 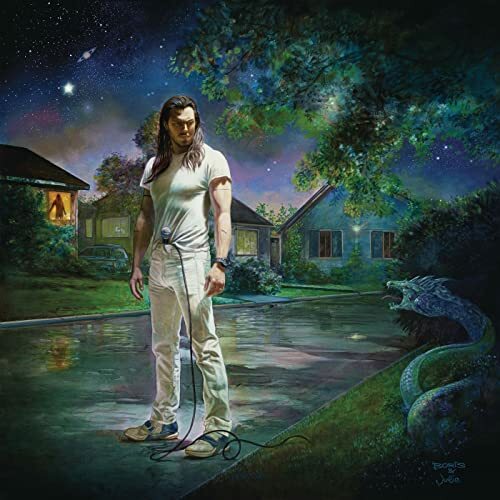 From just about anyone else, having spoken word tracks talking about how to really party, and how all of us struggle, and that’s part of life would be unbelievably dumb, and yet with Andrew W.K., it’s not just acceptable and expected, but kind of amazing. It makes me feel better about the world knowing this man exists and is genuinely helping people in his very unique way. All that said, the album is also wonderfully over the top with some truly great songs, though nothing nearly as amazing as I Get Wet which I shamefully took far too long to truly discover. Didn’t Have Time to Give Them a Fair Shake – So many bands, I don’t know where to start. Well right at the start of the year, I found out WALK THE MOON had released an album right at the end of 2017, which I did really like. Beyond that, the usual bands that Jake Chandler always introduces me to by way of his yearly mix, which this year included – Vancouver Sleep Clinic, MisterWives, Mother Mother. Not anything I can think of that fell utterly flat this year, but I’ll list The 1975 – A Brief Inquiry Into Online Relationships, simply because this was certainly poised to be a #1 album for me, and it was just ok. It’s actually more of a soundtrack-y sounding album, which is not at all a bad thing, but just not what I was hoping for. Couple interesting things about the mix this year to point out. 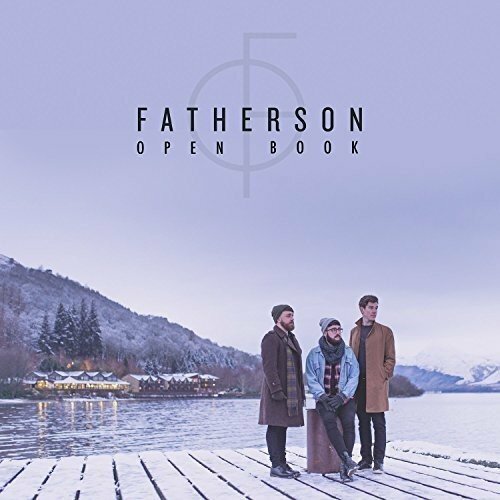 First off, this is the first year end mix that has 3 songs by one artist (Fatherson, explained above). This is also the 5th straight mix that Great Good Fine OK have appeared on (I cannot get enough of these guys). 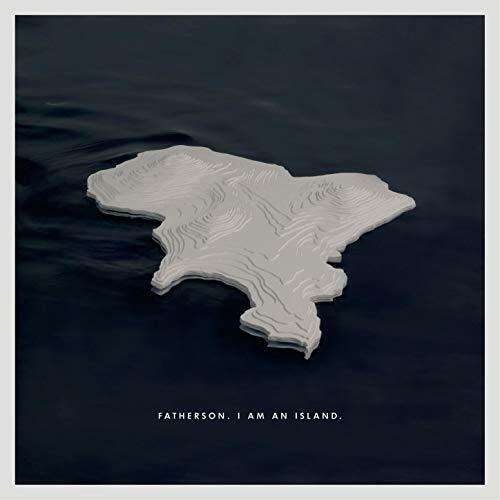 By far my favorite track off the newest Fatherson. Felt like a good kick off track to the mix. This was Avery’s theme song the first half of the year. “Frahda dee ahda” as she called it. I really enjoyed the Metric album this year, and this song in particular has a nice mellow groove to it. Yet another sweet delicious track from Great Good Fine OK. So many various fun sounds in this song too. I might be one of the only ones out there that’s sad that dubstep sort of went away. There’s something so satisfying about it that I’m such a sucker for. And Fall Out Boy gave me a dubstep song this year, so I guess I’ll take it where I can get it. Ah yes, this fresh new track from Dolly Parton. Don’t know what this says about Corinne and I as parents, but this was Avery’s bedtime song for about 5 months out of this past year. She just loves it. “Don’t go mistaking your house burning down for the dawn.” “Outside it’s 1933, so I’m hitting the bar.” Frank is simultaneously crass and poetic. I love it. This will forever remind me of winding down my time at CCC Lincoln Square in Chicago. I still can’t even get through listening to this song without tearing up. “And as you speak 100 billion failures disappear. Where you lost your life so I could find it here. If you left the grave behind you, so will I.” That encompasses what my faith is all about. This was a weird one, because it came up on a random mix I was listening to as I was taking the train from downtown in Chicago about 2 weeks before we moved. The bittersweetness of it felt like it oddly expressed all of my emotions about leaving, much like Sanctuary by Hikari Utada became my theme song for leaving Grand Rapids back in 2007. I liked this album a decent amount, but when the drums fully kick in on this song, that just does it for me. Really love this tune. Every once in a while I have a song I listen to that is an “instant 5 stars” (meaning I immediately give it 5 stars in iTunes on my first listen). This was one, and my God I want to see this song live. There’s a theatrical quality to this tune that is intoxicating. Feels like a strangely dark gender reversed version of Somebody that I Used to Know by Gotye. This was Corinne’s theme song of the year, which she called “very womens march-y.” Her words…. but she’s not wrong….. in a good way. Don’t remember how I ever heard of this group, but they’re sort of loungy clubby type electronic pop, but this song in particular has such a nice thoughtful grooviness to it that I loved putting it on throughout the year. Nathan Niederkorn introduced me to Scary Pockets early in the year, and showed me several of their funk covers of songs. When I heard this, I yelled out “ah! That’s so good!” and then promptly showed it to everyone. “Half the things with me don’t work, but I don’t have the heart to throw me out.” UGH. This song absolutely crushed me this year, in the best possible way. Hard to not be wrapped up in the emotions of losing Scott Hutchinson this year while listening to this tune. 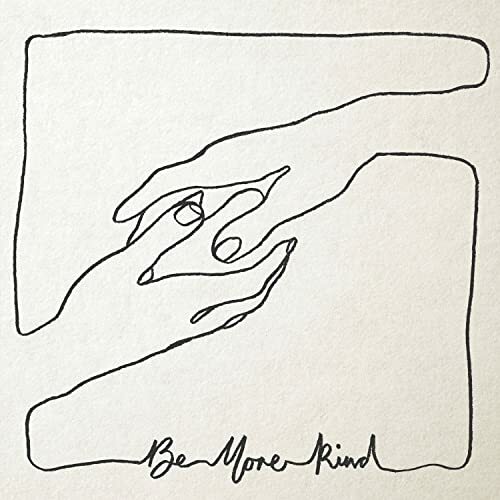 I’m not a big Father John fan, but I thought his album this year was pretty solid, and this song in particular I thought was great, which is exceptionally meaningful for me being a songwriter who is married and has written songs about his wife. Only good ones of course! Love you babe! 20: Total Freedom – Andrew W.K. Raise your fist in the air and sing “Tooooootal Freeeeeedom!” Just do it. Andrew W.K. is the best. This also made me beyond excited for Avengers: Endgame coming out in 2019, along with Game of Thrones final season, It Chapter 2, Star Wars Episode IX, to name a few. Man, what a terrible waste of a movie. That is all. Guess that pretty much does it. Sorry for the long post this year, I wanted to include all my thoughts on the songs for our mix, as I thought that would be fun for me to read again later. If anyone else also finds it interesting, and reads this entire post, I will be pleasantly surprised. 2018 was certainly a cornerstone type year in my life, hopefully in a good way. 2019 seems lined up to be a good one, but here’s hoping.